THURSDAY, April 13, 2017 (HealthDay News) -- Fewer Americans with Crohn's disease are ending up in the hospital than in the past, according to a new federal study. Crohn's is a chronic inflammatory bowel disorder that often leads to surgery for most with the disease. Hospitalization rates for Crohn's disease remained stable in the United States between 2003 and 2013. That's a change from a study done from 1998 to 2004 that saw more than 4 percent increases in Crohn's hospitalizations each year, researchers with the U.S. Centers for Disease Control and Prevention said. The stable hospital rates are likely due to the 1998 introduction of a new class of biologic drugs. Examples of these medications used to treat Crohn's disease include: adalimumab (Humira), infliximab (Remicade), certolizumab (Cimzia) and ustekinumab (Stelara), according to the U.S. National Institute of Diabetes and Digestive and Kidney Diseases. Biologic drugs are effective at controlling the inflammation caused by Crohn's disease, said study co-author Anne Wheaton. She's an epidemiologist in the CDC's Division of Population Health. "It's heading in the right direction," Wheaton said of the trend. "We stopped the increase." Crohn's disease acts like an autoimmune disease, essentially turning the immune system against a person's intestinal tract. In 2009, about 565,000 Americans had the disorder, according to the CDC. 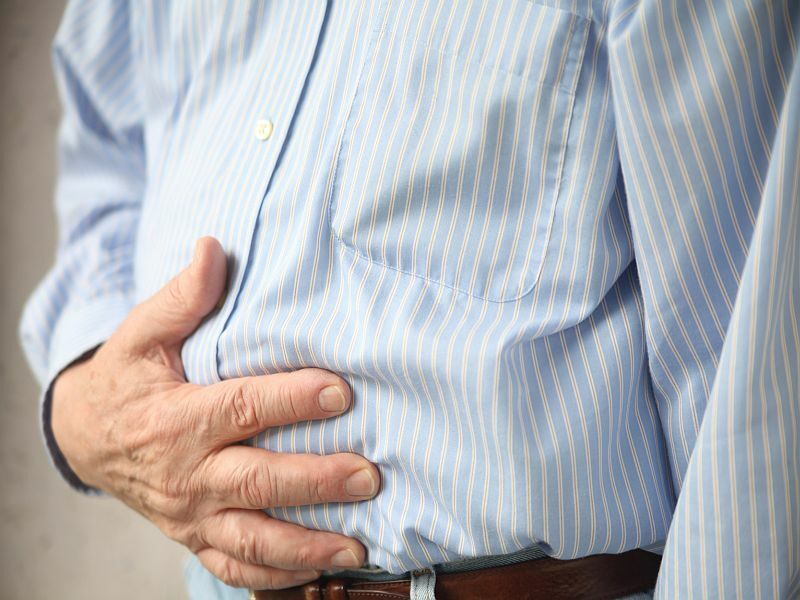 People with Crohn's typically suffer sporadic flare-ups of diarrhea or abdominal pain, but years of constant intestinal inflammation wind up doing serious physical damage to the intestines, said Dr. James Marion. He's a gastroenterologist with the Mount Sinai Health System in New York City. As a result, Crohn's patients eventually need surgery to clear intestinal blockages or remove irreparably damaged parts of the colon. That's almost always the reason for hospitalization in these patients, Marion said. The new biologic drugs help patients by blunting the signal that causes immune cells to attack the intestinal tract, Wheaton said. The new CDC study evaluated hospital discharge data. The researchers looked for cases where people had been hospitalized for Crohn's disease. The leveling-off of hospitalizations suggests that Crohn's patients are receiving some real long-range benefit from the biologic drugs, Wheaton and Marion said. Prior to the immune-targeting drugs, doctors had to rely on steroids to control inflammation in Crohn's patients, Marion said. But steroids have a number of side effects. They could even make the disease worse and increase a patient's chances of needing surgery, he said. "There really was nothing we were using to stem the progressive nature of Crohn's disease," Marion said. "It was all very much reactionary treatment." The biologic drugs are giving doctors a chance to get ahead of Crohn's disease, stopping or delaying the development of blockages and severe damage, Marion said. "We can control the inflammation earlier, and we can prevent the natural history from unfolding in that way," he said. "If you can get someone on definitive therapy within three months of their diagnosis, you are far more likely to prevent the complications that ensue if you don't subdue the inflammation," he added. Biologics aren't without their flaws, Marion and Wheaton noted. Since the drugs tinker with the immune system, people must be closely monitored for signs of infection. However, "the risks of the medications are far, far outweighed by the potential pitfalls of uncontrolled inflammation that continues for years," Marion said. The drugs also are very expensive, costing as much as $60,000 to $100,000 a year, Marion noted. Doctors hope that new similar drugs will enter the market soon and drive down the price. These drugs are essential for controlling Crohn's disease, along with knowing your personal flare-up triggers, Wheaton said. Flare-ups can be set off by stress, smoking, or any number of other factors. "If a patient does have Crohn's disease, it's important to stick to the medications your physician has prescribed, and be aware of what might aggravate your Crohn's disease," Wheaton said. The study appears in the April 14 issue of the CDC's Morbidity and Mortality Weekly Report.